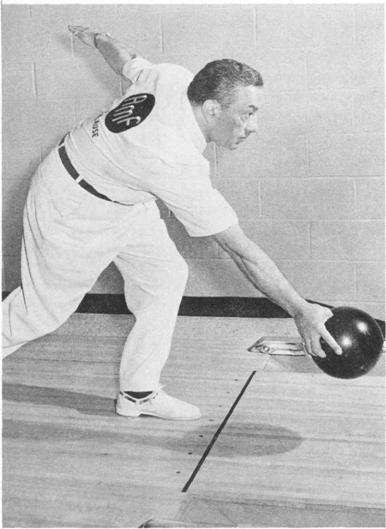 My purpose in the preceding chapters has been to teach you to bowl properly. 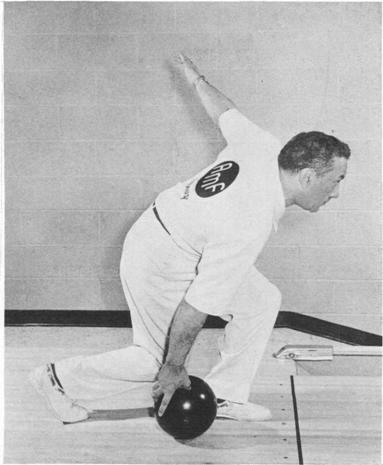 As I visit different bowling centers throughout the country, I’m afraid I see incorrect and faulty styles as often as I do proper ones.In this chapter I’ve tried to point out some of the most common faults. If any of these styles look like yours then my advice is to change. Your scores and your average are sure to benefit. 1) TOO HIGH A BACKSWING I’m always surprised at how often I see this occur, especially among women bowlers. Don’t let the backswing ever get be-~ yond shoulder height. Don’t force it to the level pictured here it’s sure to result in faulty timing. 2) DROPPING THE BALL Get the ball over the foul line; reach out with it. There are two reasons for this problem: either your timing is off, or it is simply a case of your ball not fitting you properly. 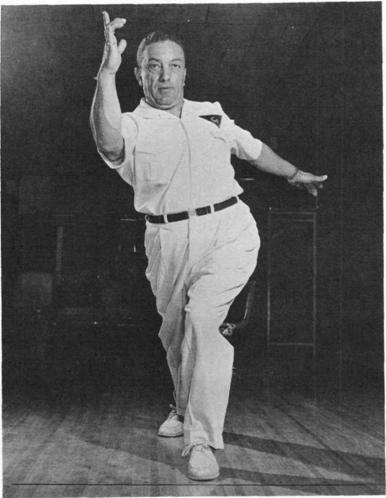 3) POOR FOLLOW-THROUGH Many bowlers I’ve seen seem to do everything well, until they release the ball. Then they go into a poorly executed follow-through. Here’s one example not keeping down; pulling up at the finish. You can overcome this by keeping your head down and your eyes on the target. 4) BAD FINISH Here’s a problem on the follow-through; in fact, it’s no follow-through at all. Be sure to continue the arm on its natural upward motion after the ball has left your hand. 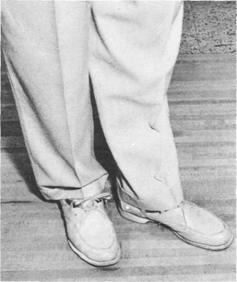 Many pro stars continue the motion until their hand reaches the height of their head. Try it. It could be a great help to you. 5) INCORRECT PICKUP Be careful about how you pick up the ball. Don’t reach out for it with your right hand as shown here. If you do this continually, you’ll find your hand tiring and eventually your control will be affected. Instead, pick up the ball with both hands as you lift it. That way, your hands won’t be struck and injured by balls coming into the rack. 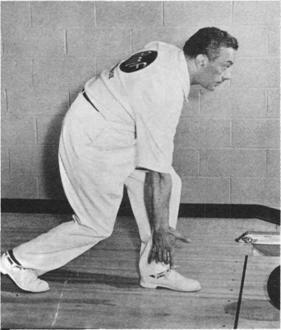 6) WRONG STANCE A common fault in the stance position is failure to place the feet parallel to the boards (perpendicular to the foul line) before the delivery begins. It is simple to do, requiring only a moment to check. 7) WRIST BREAK Keep your wrist straight and firm; don’t let it bend to the side as shown in this picture. If you don’t keep a straight wrist, you’re certain to lose control of the ball and thereby all accuracy. Keeping a firm wrist is a matter of concentration, nothing more. 8) TOPPING THE BALL Here’s another common fault among women bowlers overturning the ball, causing a reverse hook or back-up ball. This can be prevented by releasing the ball in the shake-hands position I’ve discussed. 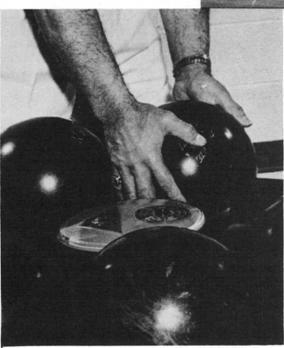 Keep your hand and wrist in the nine o’clock position and you’ll find yourself rolling a perfect, sharp-breaking hook ball. 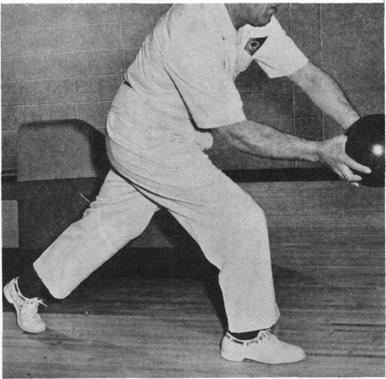 9) STEPS TOO LONG Even some of the most experienced bowlers are guilty of this error taking steps in the approach that are much too long. Remember your steps are to be the length of your normal walking steps never any longer than that. 10) WRONG PUSHAWAY On the pushaway remember to get the ball out, down, and to the right. 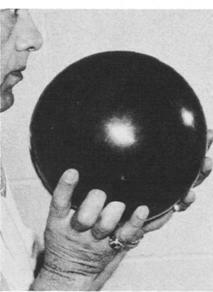 Some bowlers go up with the ball. This is a wasted motion and accomplishes nothing. It affects your timing, and can hurt your delivery. 11) BAD FOLLOW-THROUGH Here’s another common follow-through problem. 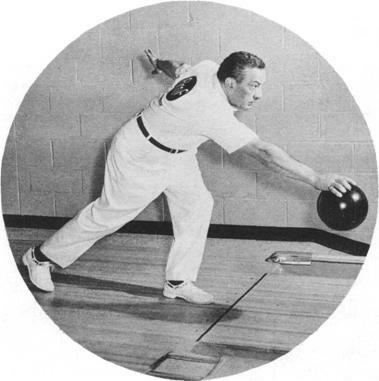 Many bowlers cross their arm in front of them after they release the ball. When they do this, the ball may cross-over, miss the 1 3 pocket, and either hit the head pin full or cross into the 1 2 pocket. 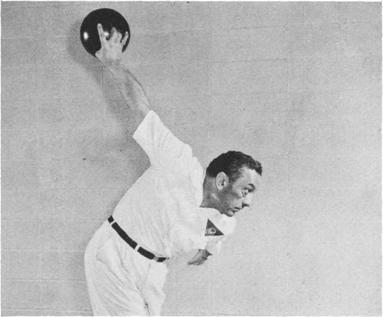 Bring your arm straight up; reach out for the pins. 12) LOFTING THE BALL Try to release the ball over the foul line, but at a point only three or four inches beyond the line. Never loft the ball or release it far out on the lane. Lofting will spoil your accuracy. This entry was posted on Monday, November 14th, 2005 at 11:50 pm	and is filed under Bowling. You can follow any responses to this entry through the RSS 2.0 feed. Responses are currently closed, but you can trackback from your own site.